It is strange that as a political junkie Balls should have been stuck for a reply: even if The Donald was not to Ed’s taste and he believed that ‘in the end, American voters were not going to go for someone who was so divisive, so careless with the truth, so macho and irresponsible’, Balls surely was aware that in the USA, as elsewhere, a vast number of voters had realised they were being ill-served by an entitled political class, of which Hillary Clinton was the exemplar, and were seeking a radical alternative. Still, Balls’s affected bewilderment was sufficient to earn him a three-part investigative series, Travels in Trumpland, an attempt ‘to understand how this happened . . . to meet his supporters and walk a mile in their shoes’. Ed’s exploration took him to the city of Saint Jo, Texas, where he joined ‘fifteen thousand working-class Americans’ attending Rednecks with Paychecks – a festival he described as ‘white, working-class Trumpland on massive steroids’, a raucous event notable for its racing monster trucks, pole-stripping and copious drinking. If only wife Yvette Cooper had been free to join the fun. Though fully aware that ‘redneck’ is widely applied elsewhere as pejorative shorthand for white trash, the attendees take pride in it as a slang term for ‘hardworking country boys’ (and girls). Interviewed as ‘someone in the crowd I wasn’t expecting to see’, one curiosity was a young black man and Trump voter from Kansas who happily declares himself a redneck and does not share Ed’s disdain for the confederate flag being ‘synonymous with racism’; instead, this nonconformist sees the Southern Cross as ‘American history’. Overseeing the Rednecks’ catering was Marta, an engaging middle-aged Hispanic who 30 years earlier illegally swam her way into the US. Despite this backstory, Marta surprised Ed by declaring not only her continued support for Trump but also giving his fabled border wall her approval. Marta is in no doubt that among her compatriots there are what Trump has referred to as ‘bad hombres’; by contrast, she believes ‘Trump is with me because I’m a good citizen’. Even without the wall, according to Sean Gallagher, Field Office Director in Atlanta for Immigration and Customs Enforcement (ICE), there has been a ‘significant decrease in the amount of people attempting to illegally enter the country and that is a product of this administration’s stance on immigration’. Ed – who twice curtly was corrected that he was witnessing not a ‘raid’ but a ‘targeted enforcement action’ – nevertheless agonised: ‘My worry is that Trump’s style is making all immigrants feel illegal’; however, he did concede that ‘ICE officers are proud . . . morale has definitely been boosted over the past year since Trump was elected president’. Having already demeaned himself in sequins on Strictly Come Dancing, Episode 1 of Travels in Trumpland brought us the unnerving spectacle of Ed Balls (and indeed Ed’s balls) in an unflattering plunge-neck leotard bearing an image vaguely resembling a Union Jack; anyone who has seen neither the programme nor the publicity stills may picture Ed sporting a Borat-style mankini fashioned from Spice Girl Geri Halliwell’s iconic mini-dress. 🇺🇸 @edballs travels to America's Deep South to immerse himself in the lives of those who put Trump in power, and learn how this reality TV businessman won them over. On second thoughts, should readers wish to sleep tonight, quickly expunge this image. At this point in the show it perhaps was easy for viewers to forget that the indecorous Lycra-clad figure on screen has, within the past decade, stood for leadership of the Labour Party and shadowed two of the great offices of state – roles in which, as far as I remember, he remained fully clothed. On this occasion Ed was in character as the British Bruiser, performing in Munford, Alabama, as part of a wrestling event – one that was even more theatrical than Britain’s televised pantomimes of the 60s, 70s and 80s involving Mick McManus, Jackie Pallo and Big Daddy. Ed’s visit to a farm retreat for former servicemen – those on camera were all men – did produce one jarring moment. 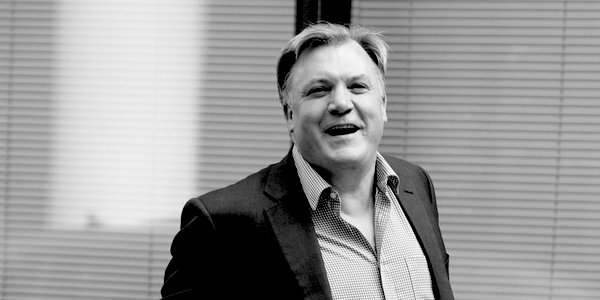 With the group drinking to the memory of fallen comrades, Ed Balls piped up with a toast to his former ‘next-door neighbour in Parliament’, the murdered Jo Cox. He did so with the blessing of the veterans but the juxtaposition struck a discordant note; also, it was irrelevant to the programme, though this being the BBC it was one scene guaranteed to make the final cut. That aside, although Ed Balls offers nothing revelatory he is amiable company throughout, appearing to take seriously what these political aliens have to say without any contumelious raising of eyebrows or scornful sideways glances. During Episodes 2 and 3 Ed seemingly remains in the Deep South; yet the 2016 vote indicates that Trumpland, if such a territory exists, extends into most of the US land mass. Perhaps the producers presumed that concentrating on the southern states would expose the real crazies. And possibly some cartoon characters will emerge during the remaining episodes. But so far, those appearing on screen have been a fine advertisement for Trump supporters who, as Balls concedes, ‘don’t want Southern pride to be about white supremacy . . . their values are hard work, family and a sense of belonging’. The implication being, of course, that this statistic is entirely to be blamed on Trump and his villainous effort to, er, enforce existing US immigration law. Leave aside what Donald Trump’s popularity tells us about the morality of today’s America; what does its aversion to strict law enforcement say about the values of the BBC? Next articleWhat would Hippocrates make of today’s death-delivering doctors?